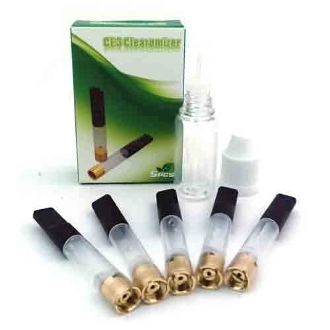 The 510 ce3 clearomizer is the perfect clearomizer to pair with your 510 battery. The combination gives you a streamlined look and produces a decent amount of vapor considering its on the smaller side. The Ce3 Clearomizer coil sits at the bottom, allowing it to be constantly saturated by your eliquid and therefore giving you great flavor and no dry burns.